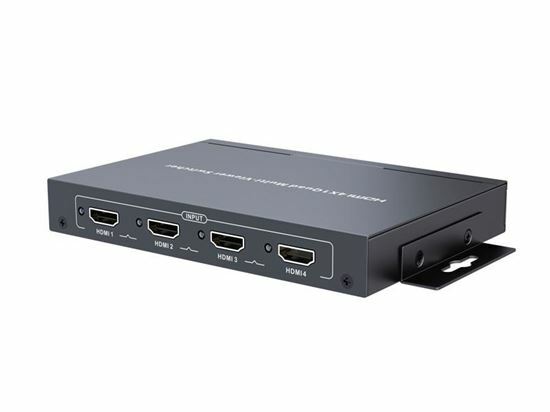 This HDMI 4x 1 Quad Multiviewer Switcher with 4x HDMI inputs and 1x HDMI output, displays video from four HDMI source devices simultaneously on a single monitor. Switch to and control any of the four source devices while monitoring the other three connections in real time. It supports quad mode, full-screen mode and dual mode. It is widely used in many applications that require real-time monitoring of multiple devices such as like DVD players, cameras and computers. It is the perfect solution for the applications need to monitor several sources at the same time.